and environment. This book is anchored in the spatial sciences, including geography, urban studies, urban planning, and environmental studies. It offers a comprehensive survey of the evolving urban landscape, covering such topics as history and patterns of urbanization, spatial and regional context, models of urban form, social-spatial transformation, economic restructuring, urbanism and cultural dynamics, housing and land development, environmental issues, and challenges of urban governance. It also shows how the character and complexity of the Chinese city both conform to and defy conventional urban theories and the experiences of cities elsewhere around the world. Illustrated case studies in each chapter ground the discussion and introduce readers to the diversity of cities and urban life in China.Intended for a wide audience in higher education and beyond, this book offers a basic understanding of China’s urbanization and cities that is grounded in history and geography. Most chapters also are rooted in context and can be used as stand-alone course materials, with suggested references for further reading. 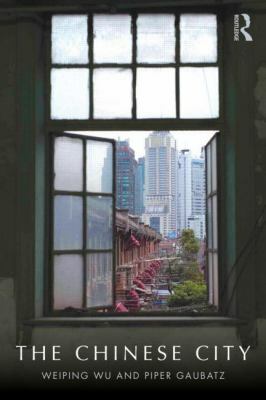 Drawing on years of research experience and keen observations of the triumphs and problems in China’s cities, the authors uncover urban dynamism and complexity amid dramatic changes in the Chinese economy and society. They also explore the consequences of current development paths and emerging technologies on urban economies, the people, and the environment. How many Chinese cities were there? How large were they? How big are China's cities? How many cities are there? Becoming "factory of the world"